According to the Common European Framework of Reference for Languages. The language school Superb Learning , in addition to language courses for adults, also provides teaching programs for kids and teenagers. These activities are led by our experienced native speakers and are held in several world languages, specifically in English, and Spanish. All programs are tailored to children's language level. Some programs are linked directly to the syllabus of the elementary school to help the children with the practice of the subject matter, while deepening the already acquired knowledge. Children are encouraged to develop a strong team spirit and a sense of cultural belonging at the same time. In all our classes, children learn how to use Czech naturally. They play games, exercise, listen to Czech songs, watch Czech fairytales, read stories, draw and create things. Older children learn how to read and write and younger ones focus more on nursery rhymes and games. teaching is highly interactive and includes a range of fun activities. ﻿all teaching is based on the communicative way of teaching and the psychology of the exercise. This is a combination of play, conversation and drills. courses are taught by experienced and qualified teachers who have undergone intensive training. It is possible to join the courses even during the semester. For more information and registration contact us at sprblearning@gmail.com or call to +420 773 531 798. 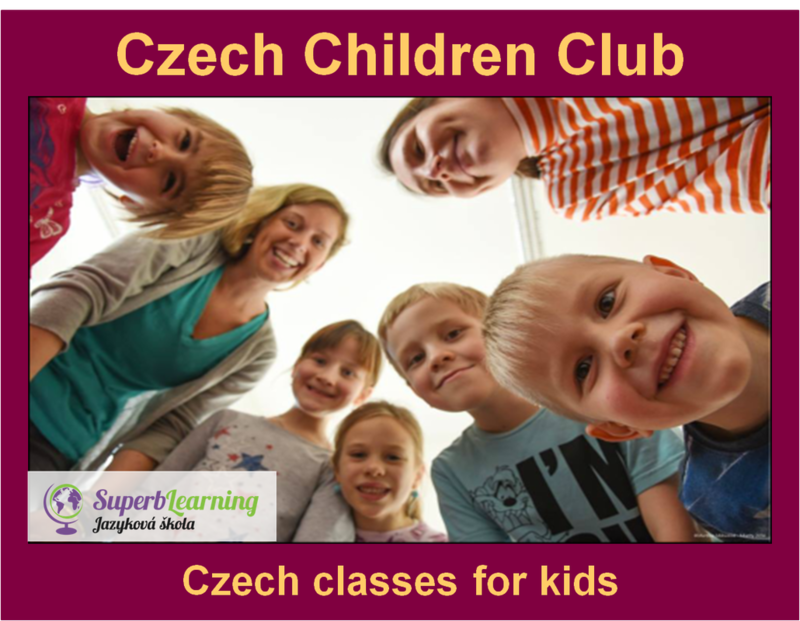 Superb Learning has prepared for your child a week full of fun and games associated with learning Czech. The event takes place everyday from 8am to 5pm. The colorful program consists of drawing and painting, dancing, singing, children's Olympic games and other competitions. Trips are also planned. The child will be in contact with Czech throughout the day. The price includes lunch and drinks. It is necessary to bring with you slippers, things to smear (old shirt, tracksuit, sports shoes), snack (2x) and good mood. Registration deadline is 14.06.19. We look forward to you! NOTE: A child who brings a sibling or friend (5 - 13 years) gets a 10% discount. 1. termín : 08.07. - 12.07. 2. termín : 29.07. - 02.08. Připravte se na legendární klání týmů jednotlivých měst z různých zemí v tradičních i méně tradičních hrách a soutěžích. Někdy budete muset použít sílu, jindy vytrvalost. Na škodu nebude také důvtip a zručnost. Týmový duch a spolupráce vám pomohou překonat nejednu překážku, které v průběhu zápolení budou stát v cestě. 1. termín : 15.07. - 19.07. If you are looking for a summer camp that offers not only fun but also outdoor education, you found it. Give your child a summer of research and discovery. Our summer suburban camp for Little Natural Scientists will take children from 5 to 13 years old to the forests and fields, to streams and ponds. Our little researchers explore the natural world through practical tasks, field trips, art, games and more. Our highly trained staff with college education will take care of your child during outdoor adventures.